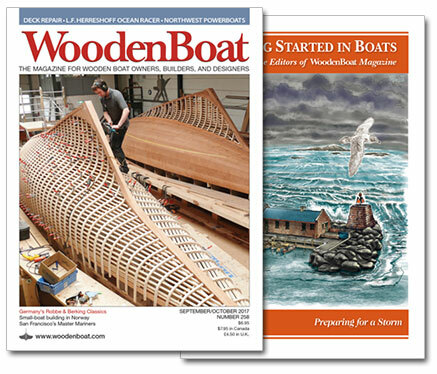 Get WoodenBoat in print or digital format. Choose your subscription offer below. By entering this information, you are starting a new account. Discover practical, technical information on everything boat-related, so you can have a more enjoyable and safer experience both on and off the water from the publication that was, until recently, only available to qualified marine professionals. YES! Please add 1 year (6 issues) of Professional BoatBuilder Magazine to my order for only $19.95! YES! Please add Small Boats 2019 to my order for only $9.95! Charge my credit card now. In the interest of conserving paper waste on multiple notices and never missing an issue, we provide continuous service for WoodenBoat Magazine and will automatically renew your subscription at the best rate available with guaranteed savings off the newsstand price. We will always send you a reminder before your card is charged. If the credit card you provided cannot be processed a bill will be sent. Please check your card information and try again, or contact customer service at WoodenBoat@sfsdayton.com or call 1-800-877-5284. Thank you. Your first print issue will be on its way in 5-8 weeks. Additional time is needed for international print subscriptions. Small Boats Annual 2019 ships in December 2018. Have questions about your subscription? Click here to contact Customer Service or call 1-800-877-5284. Your order is processing, please give us a moment to complete your order.